Most amateur athletes have to squeeze in training around their day job, cramming in sessions before or after work. Daved Simpat does not have that problem. In fact, training too much may be his issue. The North Face Adventure Team member, who hails from Malaysia, is a porter on Mount Kinabalu, one of the country’s most famous peaks and protected as a World Heritage Site. The mountain’s highest point is 4,095 metres and is the tallest in the country. The mountain is on the north end of Sabah. Each day the 36-year-old can carry more than 20 kilograms up the trail to the Laban Rata Resthouse, which sits 3,272 metres above sea level. The house acts as a de facto base camp for climbers and hikers, and Simpat carries everything from water, supplies and gear up the six-kilometre route in what he calls a “highly technical” and “very steep” trek. And then he heads back down, on a daily basis. 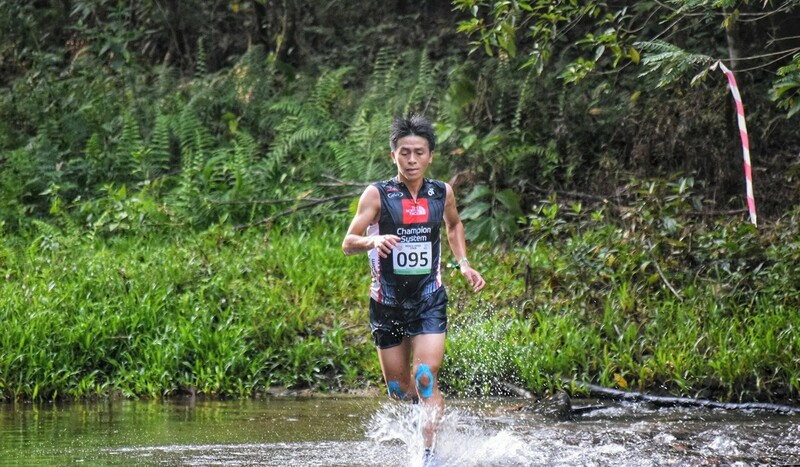 Simpat burst onto the trail running scene in 2015, winning the Borneo 100km TMBT in his first attempt, a race that heads up the southern slopes of Mount Kinabalu. He won by more than 10 minutes. The Sabah native, who is incredibly proud of his heritage, said working as a porter to support his family gave him a daily training regime. He has to navigate tricky rock faces and climbers coming up and down, unpredictable weather and, of course, the gruelling toll on his body and mind of climbing on a clock. 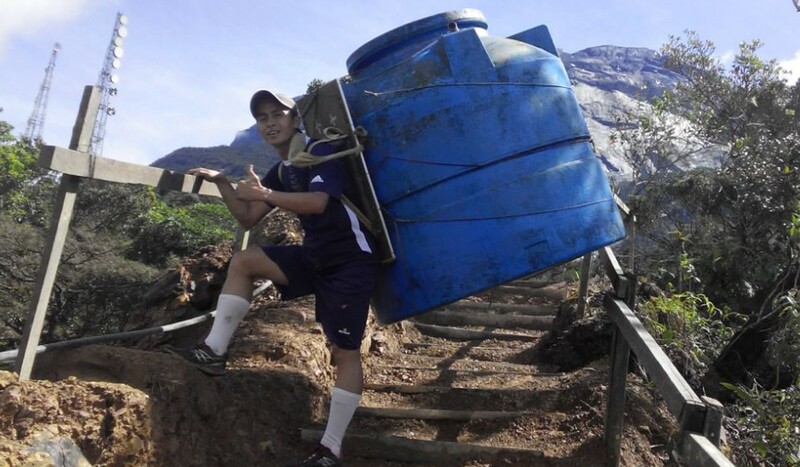 “Working as a porter, only a few people can do it because it requires strong mental and physical strength,” he said. Ryan Blair, the manager of the North Face Adventure Team, said Simpat’s job allowed him to integrate training into his daily tasks, noting his daily routine is nothing short of “epic”. Blair said the team was also helping Simpat build a new home for his family, another benefit of being a part of the Asia Pacific Adventure network. The North Face 100, which will feature nearly 1,200 competitors, will be right up Simpat’s alley. Runners can compete in either the 50- or 100-kilometre category, venturing through Tai Po, Shek Kong and the Plover Cove Country Park, with close to 1,000 metres in elevation gain. Simpat said the race is “incredibly demanding on the legs”. Last year he came sixth in the 50km after taking a wrong turn, and will be tackling the 100km route for the first time. 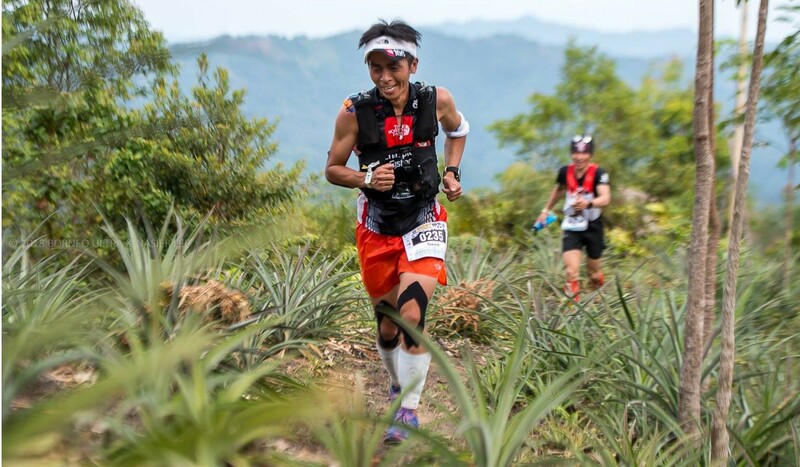 Simpat, ranked as the number one trail runner in Malaysia, is also coming off a stress fracture injury to his tibia. So what does Simpat do when he is not climbing mountains for work and pleasure? He said he likes to spend time with his family and plant pineapples.